The Division of Emergency Medicine at the Washington University School of Medicine is hosting the inaugural Larry Lewis Health Symposium in Saint Louis on August 22nd. 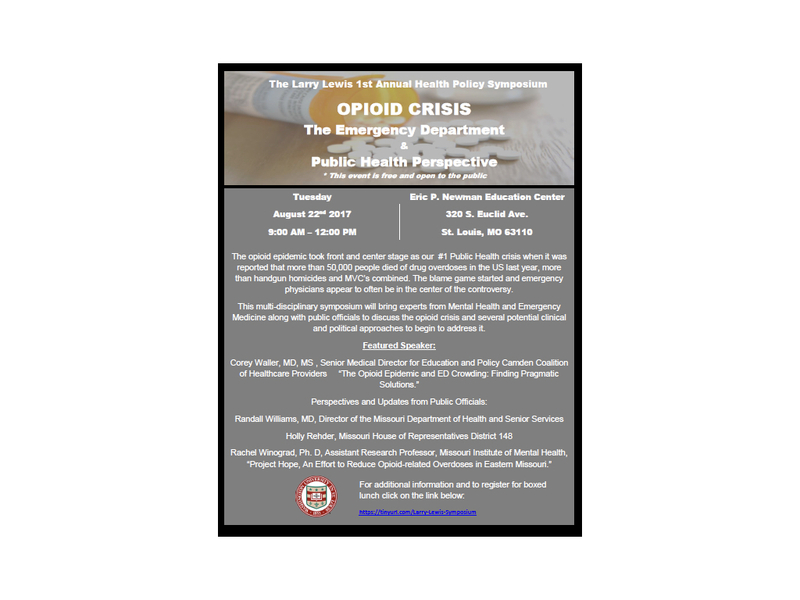 The topic will be about the Opioid Crises, the Emergency Department, and the Public Health Perspective. 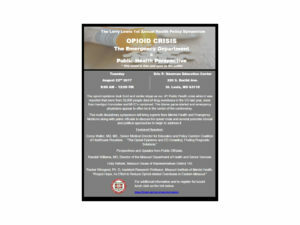 Featured speakers include Dr. Corey Waller of the Camden Coalition; Dr. Randall Williams, the director of DHHS in Missouri; Representative Holly Rehder, responsible for PDMP legislation that passed the Missouri House of Representatives; Rachel Winograd PhD, the director of a large grant to improve access to opioid use disorder treatment. We hope that other hospital and public officials will be in the audience to discuss the medical response to this issue. Please see the flier below for more information. Registration is free.